I named it so because as you may have noticed, I painted the flowers on random sides on each nail. Well, I did so too with my previous recreations. I have always liked the idea of nail art designs wherein it somehow gives the impression of peeking. Anyway, the color of this polish is dainty by itself. Please meet Essie Where's My Chauffeur. I think I had this bottle for a year now and have only remembered to use it this week. As you know, I am not particularly drawn to pastel shades. I am more of a vampy girl when it comes to nail polish colors. However, there are times when a good ol' light color becomes a necessity, if you know what I mean. This polish shade is classic and there have been many variations across several brands. This is a freehand design, painted with acrylic paint using a detail nail art brush. I wore this during a recent mountain climb and I thought it was ironic. There I was in outdoor attire, braving the rain, and not minding the muddy trail with my girly manicure! And I think it is sort of funny that whenever I hold on to a rock or tree for support, I see my nails and say to myself that it doesn't matter how dirty my hands are, I am rocking my floral nail art! I guess what I am saying is that even though I sport a pixie cut and looked rugged, my nails would always tell people that I am a girl. I love being able to express that message, subtle or not. I was lucky to not have broken any nail during the climb. I think I've developed that skill on how to maneuver one's fingers when handling things or in my case, holding on to boulders/rocks/trees for dear life. I don't wear really long nails, but they break easily just the same. Let me leave you by saying that nail art is my message. I used to express myself through my nails until I stopped and I am frustrated with myself that I allowed that to happen. This has been a big part of me. It's good to be back. I hope you had a wonderful time scrolling through the photos and reading the post as well. 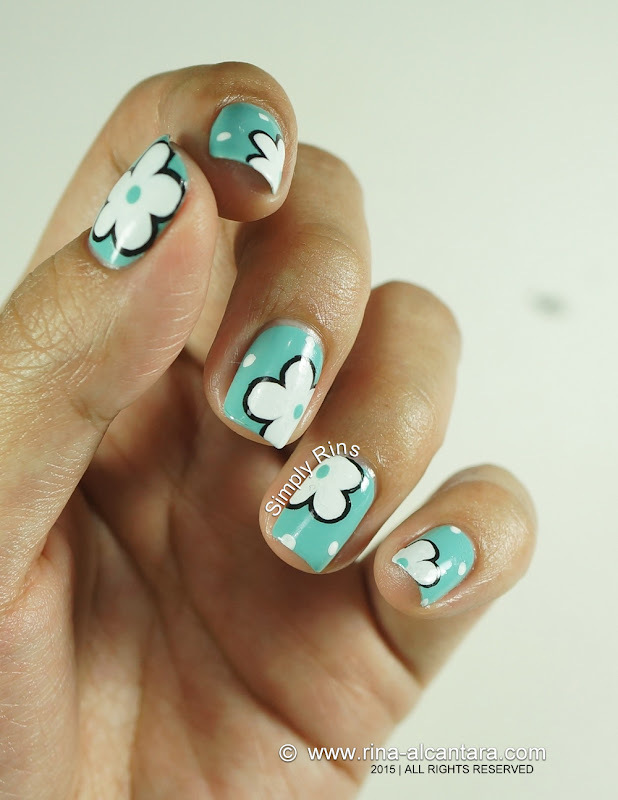 What did you think of this floral nail art? Yay I missed your posts Rina! These flowers look so beautiful, and is a great antidote for all this rain we've been getting recently. There is one nail spa salon I really like in the area, it's called Nail Spa Scarsdale.